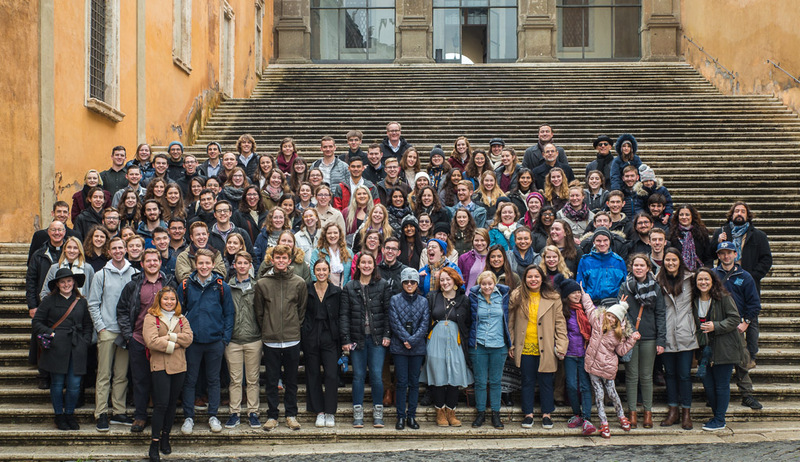 The Rome application process for the 2019-2020 academic year will begin in January 2019. Applications are due Monday, March 4, 2019 for both fall and spring applicants. Applications are reviewed late March after spring mid-term grades are posted. Students will be notified of their initial Rome application status two weeks after they return from spring break. A complete application for Rome contains 5 parts. Before applying all applicants should read through the Rome booklet and the information posted on the Rome website in order to familiarize themselves with the Rome Program and understand what they are applying for. There are various scholarships and forms of financial aid available to assist in offsetting the cost of the Rome study abroad experience. For guidelines and descriptions of scholarship options please see the Rome Costs & Fees page. Students mark intent to apply for scholarships in Rome Application due March 4, 2019. Essays should be submitted as an attachment via email to udrome@udallas.edu no later than March 25, 2019. Essays should be submitted in a word document, Times New Roman 12-point type double-spaced. Document should be saved as YourLastNameYourFirstNameRomeS cholarshipEssay.docx, i.e. DoeJohnRomeScholarshipEssay.do cx. A copy of a passport valid until at least November 2020 is part of a complete application for Rome. Applicants without a passport valid until at least November 2020 should still complete all other application components by the March 4 deadline in order to ensure higher standing on the waitlist. Submit all other parts of the application as early as possible and bring a copy of your passport as soon as it arrives. Learn how to apply for a passport at the US Dept. of State website. Participation in the Rome program is a privilege, not a right. Students are accepted to the Rome program at the discretion of the University. Considerations for this acceptance include the following parameters. For more information please review the Rome booklet and prospective presentation. 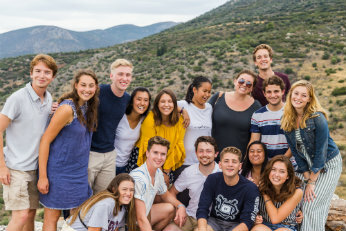 The Rome Program exists in large part to help deepen the students' understanding of issues raised in the Core Curriculum, so it is important that applicants have made appropriate progress in their Core Courses. Minimum requirements for attending the Rome Program include: sophomore standing at the commencement of the Rome semester; at least one full-time semester spent on the main campus prior to participation (including the semester immediately preceding Rome participation); successful completion of Literary Tradition I and Philosophy and the Ethical Life; preferable completion of Literary Tradition II and Understanding the Bible; preferably a cumulative grade point average of at least a 2.5; and good academic standing at the University of Dallas. Since the academic program of the Rome Semester is heavily weighted in the direction of courses that stress careful reading, cogent writing, and the disciplines of history, literature, and philosophy, applicants who are weak in these areas may be required to wait until their records demonstrate competence. Preference is given to students who have demonstrated the ability to succeed academically while carrying a full five-course (15 hour) load in Irving. Academic achievement the semester before Rome is especially important in determining eligibility. Students on academic probation and students with incompletes are automatically excluded from participation in the Rome Program. Limited availability of medications commonly prescribed in the U.S. Prescription medication cannot be shipped to Italy. All health conditions must be stable for four months prior to the Rome semester and remain stable under current treatment throughout the Rome semester. Students must be able to travel, carry a heavy load, accommodate diet to available resources and adjust to rigorous academic and physical activity. Ongoing treatment must require minimal intervention, such that it can be administered on the Rome campus and during travel periods. Students with health conditions may be required to obtain clearance from a physician and submit proof of enough medication for the full semester. Previously resolved health problems may resurface abroad, especially asthma and conditions associated with fatigue, change in schedule and diet, and distance from home. Students must also be prepared to pay physicians and hospitals out-of-pocket for any medical services and then submit a claim for reimbursement to their insurance company. Student health and discipline records are evaluated by the Rome Office Director, in cooperation with the Office of Student Affairs, for the health and maturity necessary to meet the challenges of close community life, demanding schedules, and independent travel. As this is a community of traditional full-time residential undergraduates, students who do not meet this profile may find that the living facilities cannot meet their residential needs and that the campus life, schedule, and structure will not be appropriate to their social needs. The program is not suited for married students, students with families, or students accustomed to living as independent self-supporting adults. Careful scrutiny will be given to students who for health reasons do not live on the Irving campus for two reasons: 1) the same health concerns which prevent living on the Irving campus may also affect a student's ability to live on the Rome campus; 2) we are less able to evaluate students' ability to live in community if they are not in residence in Irving. 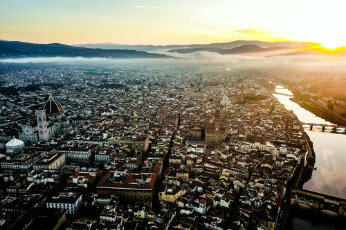 Around 70% of all graduates have been to Rome (80% of full time students who start as freshmen and graduate in 4 years). 60% of students go to Rome as sophomores. The remainder go as juniors/seniors, or in the summer. Upperclassmen should work with their advisor when determining when is the best time to go to Rome. Semester preference depends upon space availability for each semester. Applicants will have the opportunity to list academic and other reasons for a semester preference on their application forms. Students may be placed on the waitlist for a variety of reasons, including a late or incomplete application (including failure to submit a photocopy of a passport valid at least until November 2020); academic or disciplinary considerations; failure to attend required meetings or deadlines; or lack of space for all applicants to a given semester. To remain in consideration, all waitlisted students are expected to attend all meetings and to meet all deadlines. Traditionally, the waitlist is re-evaluated after final grades are reported in May. Students will receive an update of their status in June if they are on the waitlist. The spring list will also be re-evaluated in October after midterm grades are posted and if necessary in January once final grades are posted for the semester. Note: Failure to inform and update the Rome Office regarding health, discipline, or academic status may result in denial of admission to or dismissal from the program. Clearance to go to Rome can be revoked at the discretion of the Rome Office Director. Those denied acceptance for failure to meet admissions criteria or for any other reason may appeal to the Rome Committee and the Dean of Constantin College.